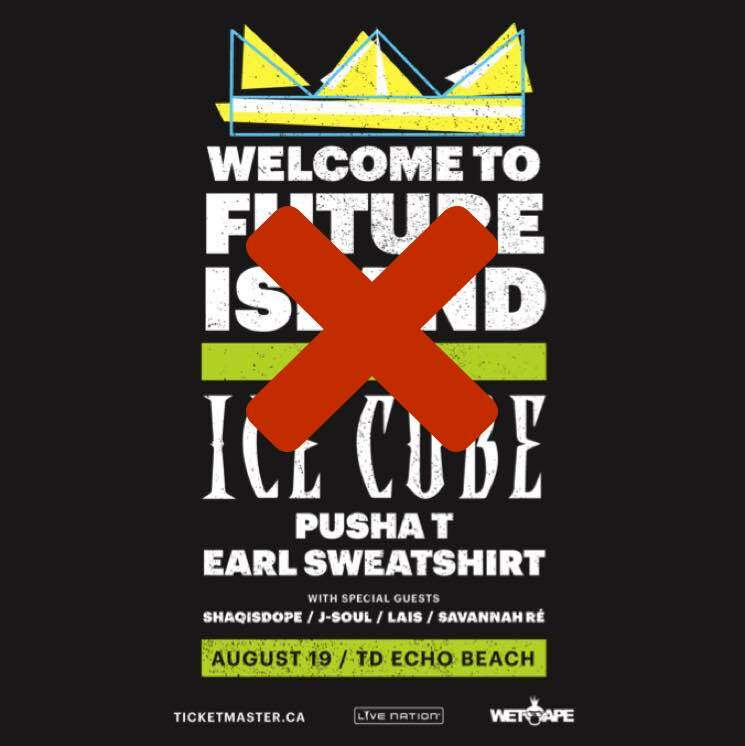 A few weeks back, Future Island revealed plans to bring Ice Cube, Pusha T and Earl Sweatshirt to Toronto's Echo Beach for a one-day festival on August 19. Eager attendees are out of luck now, though, as the event will no longer be going ahead as planned. In a press release, Live Nation announced: "Due to unforeseen circumstances this show has been cancelled." According to Ticketmaster, ticketholders can claim refunds at the point of purchase. Internet and phone orders will be automatically cancelled and refunded.